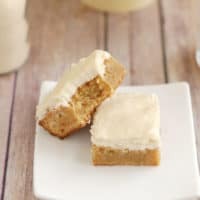 Malted Milk Blondies have a special flavor that’s reminiscent of “cereal milk”. You know how the milk at the bottom of a bowl of cereal has a sweet, slightly salty, grain flavor? Well, if you love cereal milk, you’ll really love this new malted milk recipe for bar cookies. Inspired by this article on Serious Eats, I bought a big container of malted milk powder to play around with. Yes, that’s my idea of fun, what can I say? 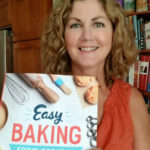 I’m a big ‘ole baking geek and proud of it. 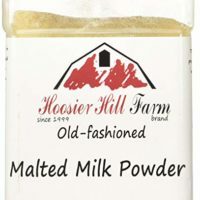 Malted Milk Powder is made from malted barley, wheat, evaporated milk and a hint of baking soda and salt. 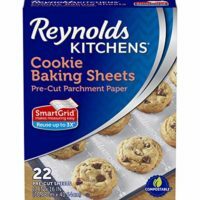 This recipe uses “nondiastatic” malted milk powder, which means there are no active enzymes in the powder. It’s the stuff used for flavoring milk, milk shakes and baked goods. “Diastatic” milk powder has active enzymes that break down starch into sugar. Diastatic milk powder is used in bread baking. 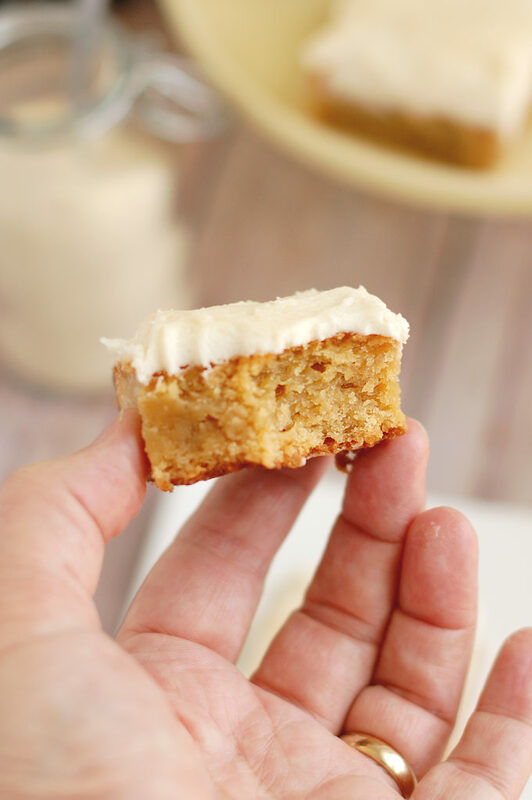 The malted barley and wheat in the powder add a slightly cereal/grain flavor to the blondies and frosting. 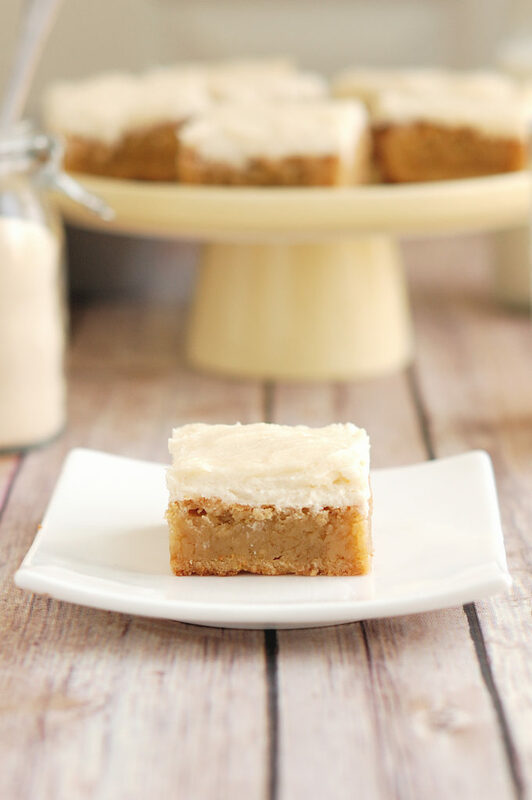 The baking soda and salt in the malted milk balance out the sweetness in both the blondies and the frosting. 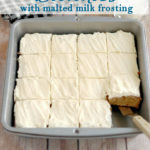 The malted milk powder milk enhances the creaminess of the frosting. The malted milk powder will be lumpy when you first add it to the batter, keep whisking. 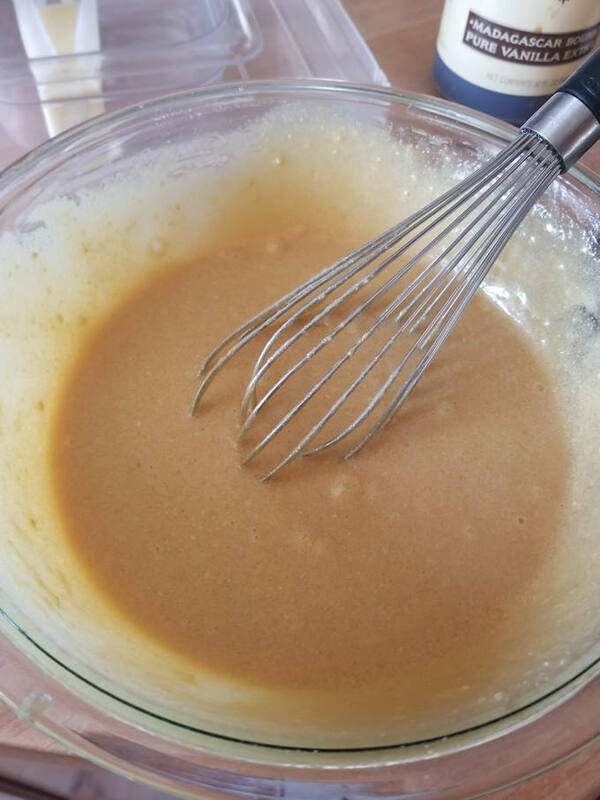 Vigorously whisk the batter until the malted milk powder dissolves. This also aerates the eggs which creates a nice crust on the blondies. 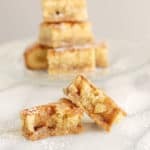 The blondies are baked when the middle of the batter is set and a toothpick inserted in the center comes out with a few moist crumbs. For the frosting, whisk the malted milk powder into the warm “pudding” until there are no lumps. 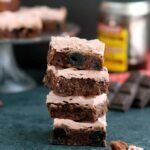 I wanted to create a recipe where the malted milk flavor would shine. First I made a skillet chocolate chip cookie and it was tasty, but I didn’t get a distinctive malted milk flavor. That cookie was all about the chocolate chips. 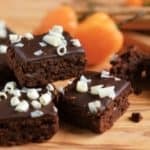 Brownies were out since chocolate is such an assertive flavor. The malted milk would certainly recede into the background. 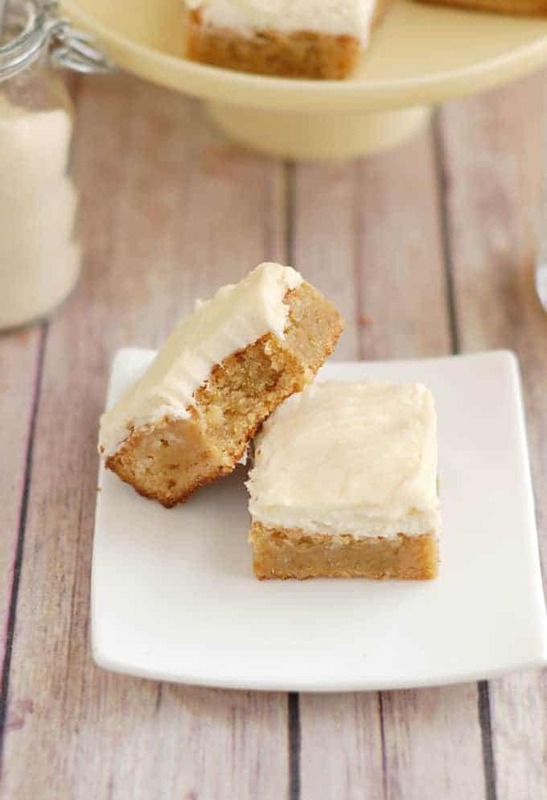 Blondies don’t have chocolate or any other particularly assertive flavors in them. I thought a blondie might be just the right vehicle to highlight that special flavor. I wanted to make a chewy, dense bar with a noticeable malted milk flavor. 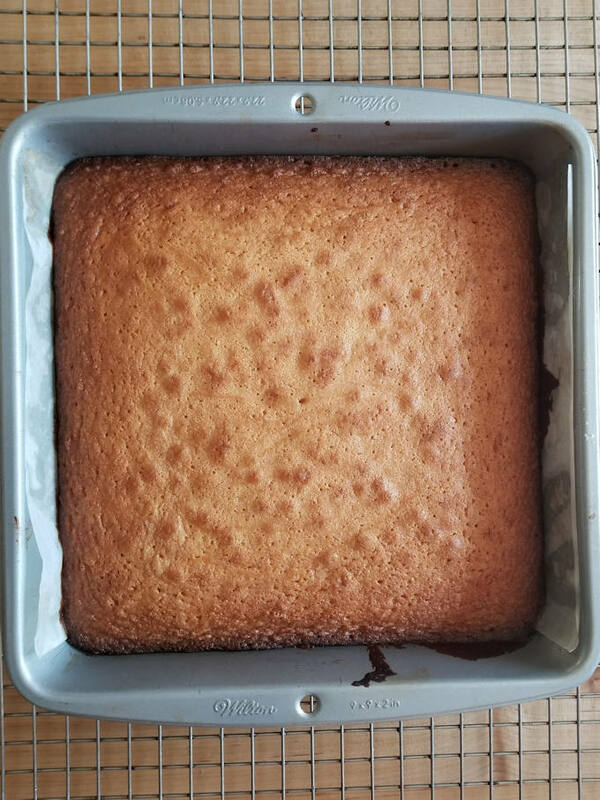 After a couple of tests I found that by reducing the flour and vanilla in the blondie batter I got a great texture and more of the malted milk flavor came through. I debated if I should frost the blondies, but I’m really glad I did. Because it’s the frosting that takes the malted milk flavor and runs away with it. 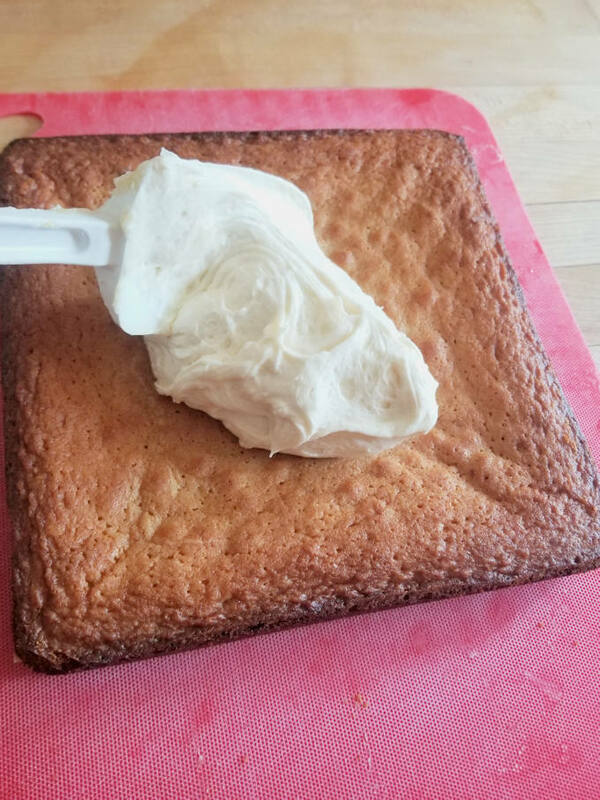 I used a milk based frosting recipe for obvious reasons. I cut way back on the amount of vanilla that I would normally use for frosting. Less vanilla allows the malted milk flavor to really shine. It’s like the cookie bar version of a malted milk shake. That doesn’t sound terrible, does it? As the blondies cool they will sink in the middle a bit. Frost the blondies when they’re completely cooled. 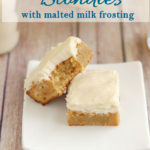 Blondies get an extra boost of flavor from malted milk powder and the frosting has a special malted milk flavor too. Preheat the oven to 350°F. 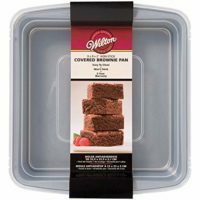 Butter a 9" square baking pan. For easier removal of the bars from the pan, line the pan with parchment paper after buttering. 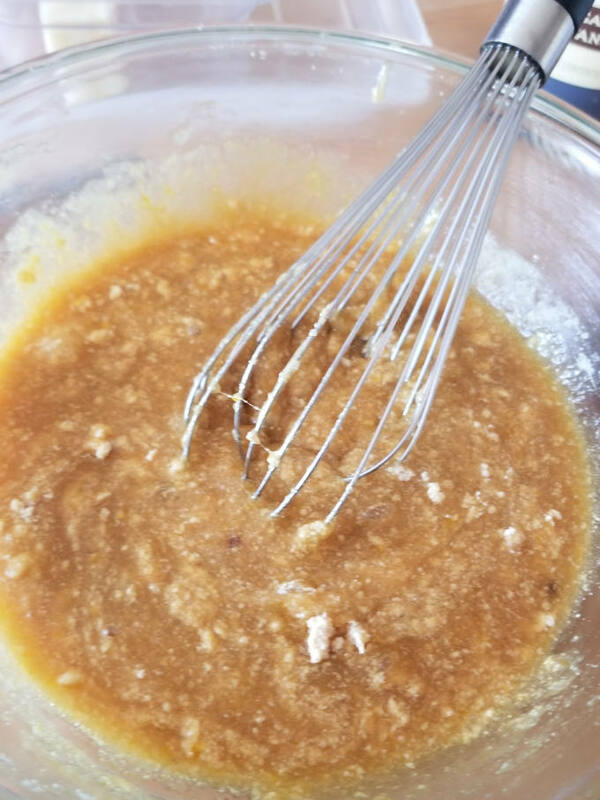 In a large bowl, combine the melted butter with granulated and brown sugar. Add the eggs and vanilla and mix until combined. Add the malted milk powder and whisk vigorously with a hand whisk until there are no lumps of malted milk powder. Add the flour and salt and mix just until combined. Spread the batter into the pan. 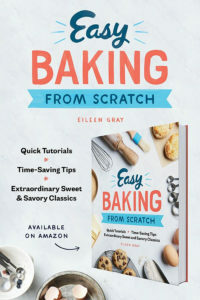 Bake until the center springs back when lightly pressed and a toothpick inserted in the center comes out with moist crumbs, about 30 minutes. While the bars cool, make the frosting. Combine the flour, sugar and salt in a small saucepan, whisk to combine. Slowly whisk in the milk until smooth. Heat the mixture over medium low, whisking constantly, until it begins to boil. Continue to cook and stir for 2-3 minutes until it thickens to a pudding-like texture. Immediately remove from the heat. Transfer to a bowl, whisk in the malted milk powder until smooth. Add the vanilla, cool to room temperature. 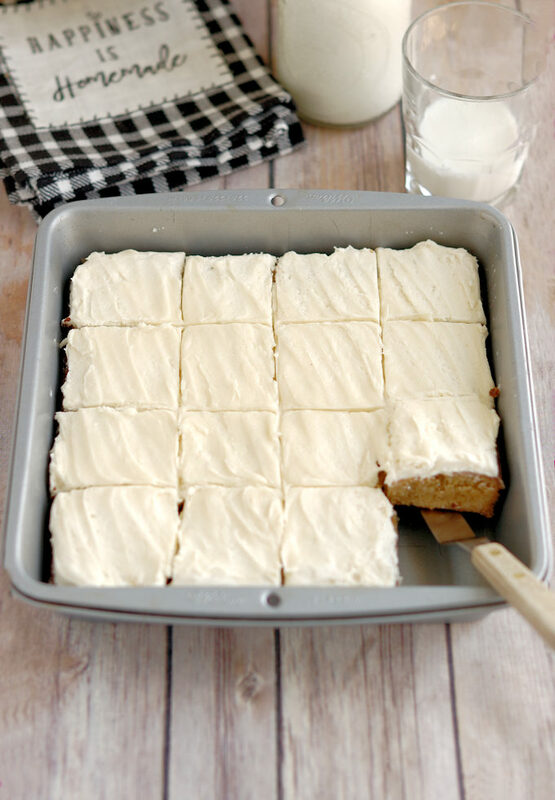 Ice the cooled bars with the frosting and cut into 16 squares. 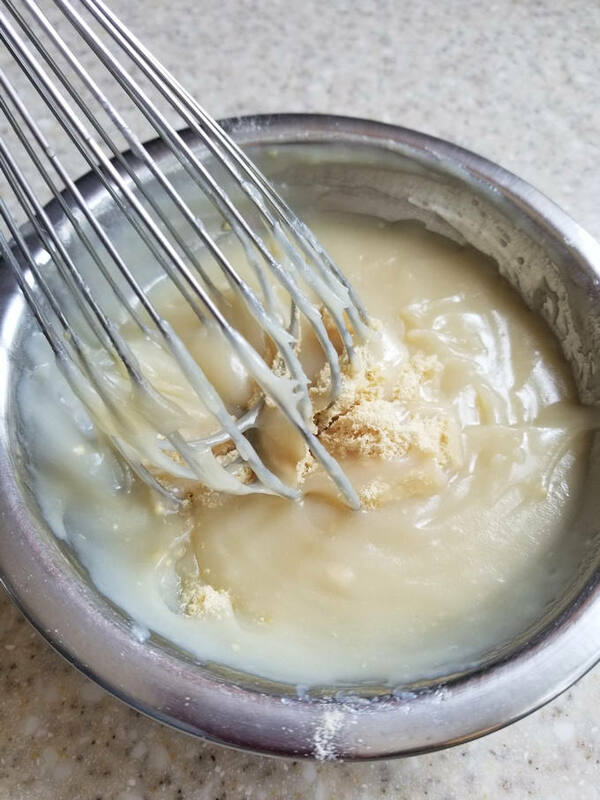 In the post you mention that the evaporated milk enhances the creaminess of the frosting, but in the list of ingredients for the frosting you mention whole milk. Is there a mistake somewhere? Oh, thanks for pointing that out. It’s a typo. I meant to say the “malted milk”.